I hope you had a wonderful Labor Day weekend! I write this newsletter at the end of a wonderful 2-week vacation in the Berkshires mountains in Western Massachusetts. 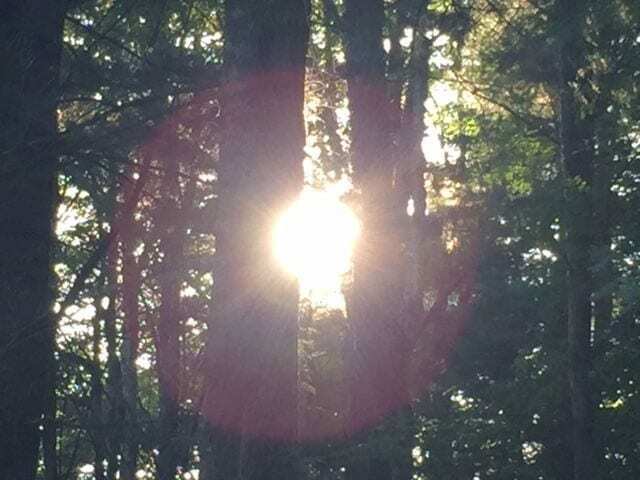 We were fortunate with the weather and I was able to walk/ jog almost every day outside surrounded by a forest of beautiful trees, listening to the sounds of nature – from the wind rustling the leaves to the hum of the Summer insects, and the bird calls. Nature is endlessly fascinating, and I often stop to view interesting sights along the road, such as turkey feathers, rock formations, berries, apples (growing in great abundance this year), dragonflies, butterflies, and other constantly changing beautiful images before my eyes. (Ironically, this year we saw our first Berkshire bald eagle – but it was diving for food along a busy road and not in the forest. But it was quite the sight, and we were awe-inspired by its’ wing-span and by the fact that we now know there are bald eagles up here, which is a great sign). Stretching on the deck after my wanderings while looking at the blue Summer sky and green trees was so relaxing and invigorating at the same time. A great setting to do deep yoga breathing! Recently, more studies have come out about the benefits of being in Nature – such as the lowering of blood pressure and the stress hormone cortisol, reducing feelings of stress, hostility and depression, increasing circulation and improving sleep patterns. In fact, in Japan, walking in their many forests is prescribed by doctors and is called “Forest Bathing” or “Shinrin-Yoku”. There is a fairly recent book on this topic: “Your Brain on Nature – The Science of Nature’s Influence on Your Health, Happiness and Vitality” by Eva Selhub, MD and Alan Logan, ND – but most of us don’t need to read a whole book to know what feels intuitively beneficial to us. So what to do if we are urban dwellers? Well, as often as I can, I make time in my commuting schedule to walk through Central Park on the bridal path, or end the day by getting into the park. 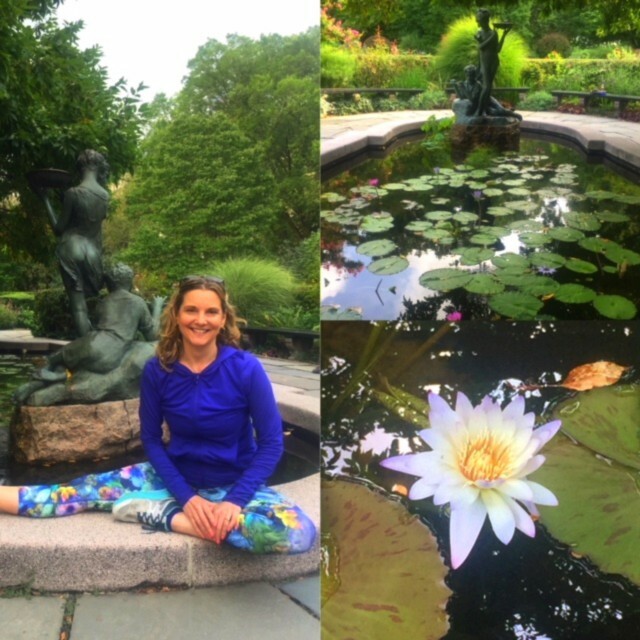 We are lucky that we have a lot of NYC parks (even smaller ones are helpful, such as the charming park near Integral Yoga on Hudson and 13th Street). Spend some time each day disconnecting from technology, and bathing in Nature. Bring plants into your apartment, and meditate on their beauty and health benefits. Of course, if you can get into a local forest on the weekends, like in Harriman State Park, that is wonderful too! (There are trains from Penn Station that get to Tuxedo, NY in less than 1 hour.) Wherever is convenient, reap the benefits of walking in Nature, hugging a tree, doing legs up a tree, and combining your spiritual practices with the natural outdoors! I would like to be able to lead yoga and qigong retreats in natural settings in the near future, so stay tuned! I will set that intention, and hopefully it will manifest.